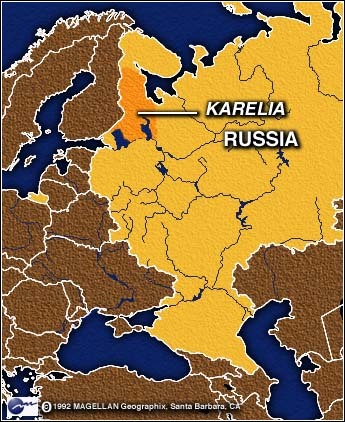 SANDERMAKH, Russia (CNN) -- Amid the low hills and picturesque streams of Karelia, a republic in northwest Russia, excavators unearthed more than 9,000 bodies of political prisoners -- a horrific reminder of the nation's past. The bodies were found earlier this month by members of a Russian historical society known as Memorial. The victims were the result of Soviet dictator Joseph Stalin's purges of the 1930s, carried out by the NKVD, later known as the KGB.